I apologize for the amount of times I’m going to punch you in the face with citrus this week. 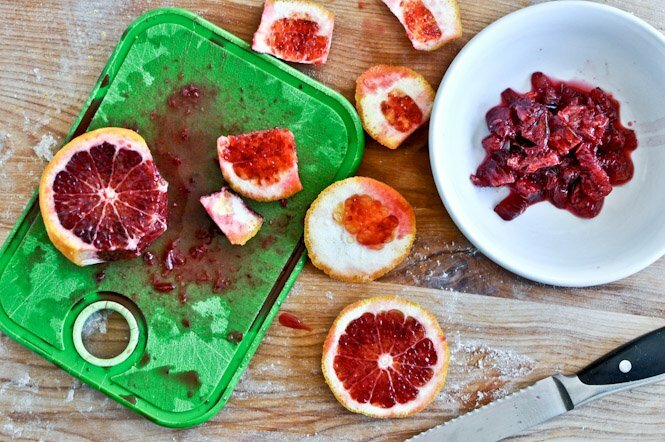 Citrus is just so so so good. 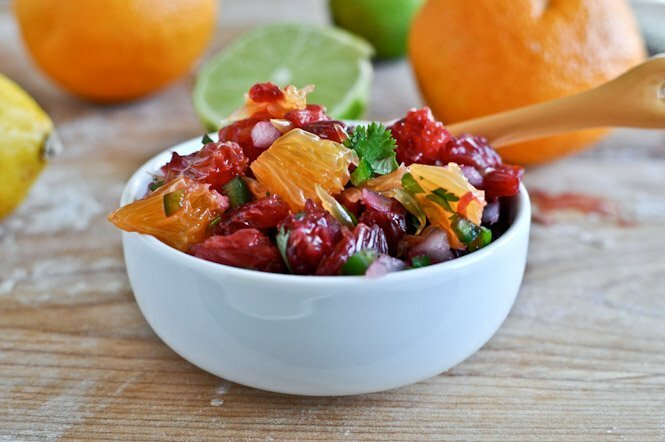 I find oranges, lemons, limes and the like to be one of the most powerful game changers: they flavor dishes so deeply and so differently that it knocks your socks off. Sort of like caramelized onions. Or smoked sea salt. Or… brown butter? Without all the calories. Wait. What are calories? Oooooh and they also are a main ingredient in margaritas. Citrus, not calories. Silly. I can ride that gravy train. It’s my opinion that so many people fail at eating healthy meals because they don’t know any better and eat them PLAIN. Ugh. Just that word makes me cringe and shrivel into a miserable little ball. Like nails on a chalkboard. Take my husband for example. When I first met him, he ate plain ground turkey. Plain egg whites. Plain chicken. Plain everything. The man didn’t live, I tell you. Granted once we started dating he had a constant supply of cheese in his fridge and gained like 20 pounds, but whatever. He needed it. Seriously, now stop whatever it is that you’re doing. I mean, I’m sure it’s not important, like going to work or exercising or whatever. Psssh. You don’t need that. 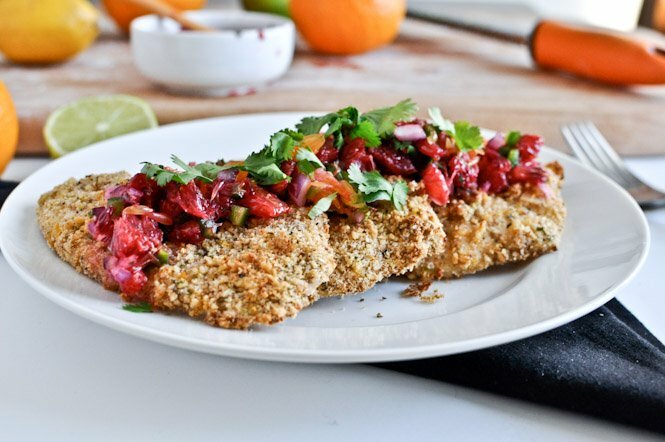 But you DO need to go buy some tilapia and make this for lunch. Okay, okay… dinner works too. 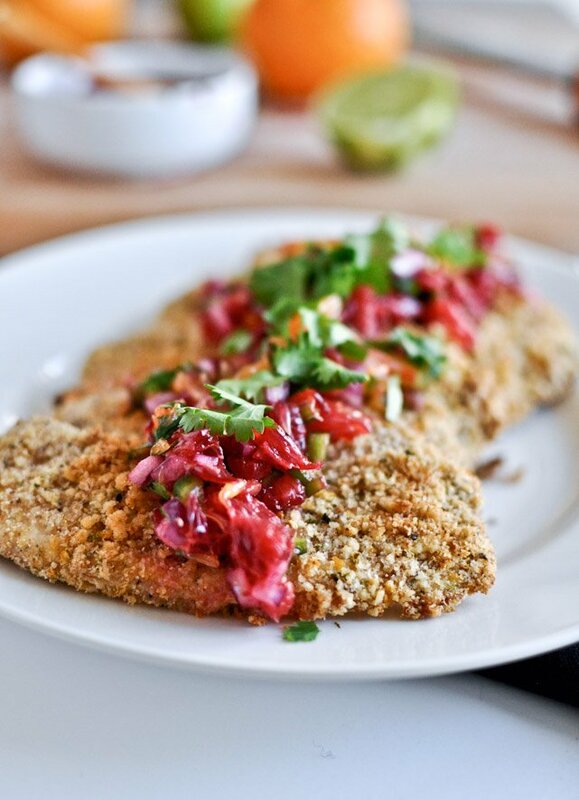 If you are out of breadcrumbs, you can keep it crumbless a la honey lime tilapia and add the salsa on top. But whatever you do… promise me you are making the salsa. Today, today I say! Preheat oven to 425 degrees F. Line a baking sheet with aluminum foil, place a wire rack on top, and spray the wire rack with nonstick spray. 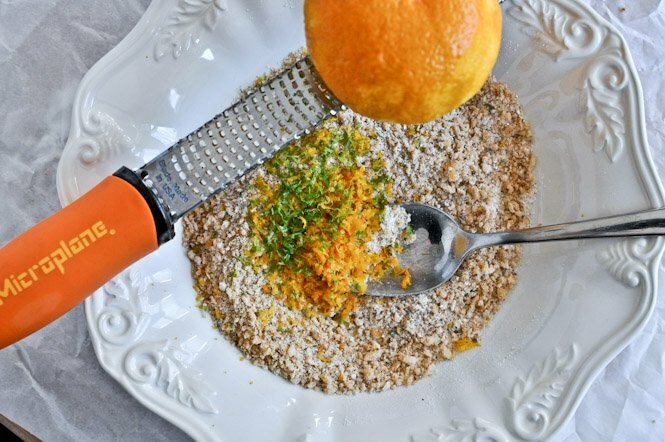 In a large bowl, add bread crumbs, flour, citrus zest and pinch of salt. In another bowl, lightly beat egg whites. Season each piece of tilapia with salt and pepper. 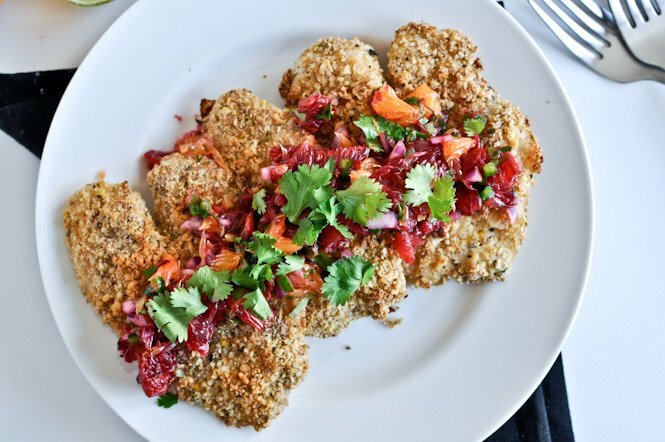 Dip each piece of tilapia in beaten egg whites, then coat with citrus breadcrumbs, pressing to adhere. Place on the wire rack and spray lightly with nonstick spray. 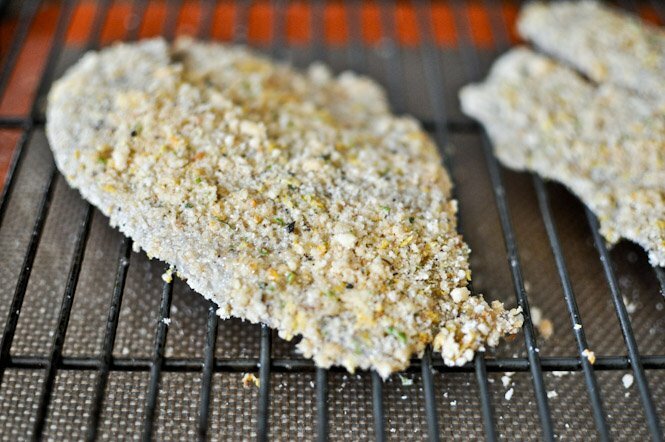 Bake for 15-18 minutes, or until breadcrumbs are golden. Combine all ingredients together and mix. Let sit for 30 minutes so the flavors marry. Yum! Oh and make a margarita too. We made this for dinner tonight. So yummy! I plan to put it in our regular rotation.